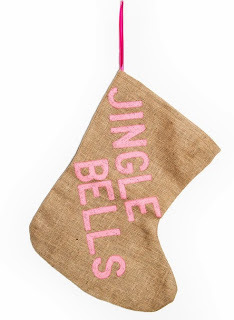 Today's My Stocking is from a good bloggy buddy, Kate of DomestikatedLife! 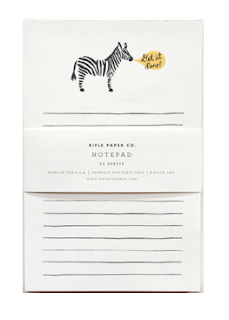 1) Zebra Notepad. I'm sort of a paper hoarder and love having little notepads scattered around -- this one has a gentle reminder to get it together, perfect for my desk. 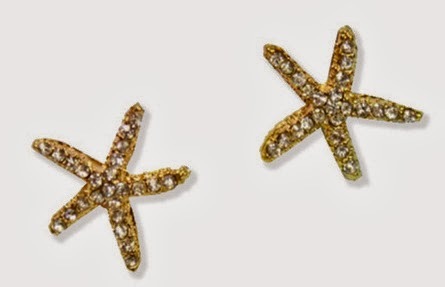 2) Starfish Earrings. A little bit of summer to pop in my stocking! I'm in disbelief that these are only $8 -- such a steal. 3) Acrylic Straws. 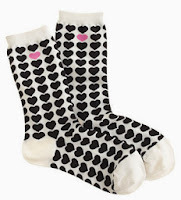 Oh Kate Spade, you just get me. I love a good striped straw, and these ones are reusable -- I can already envision them on my bar cart! 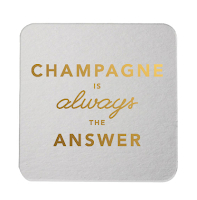 4) Champagne Coasters. 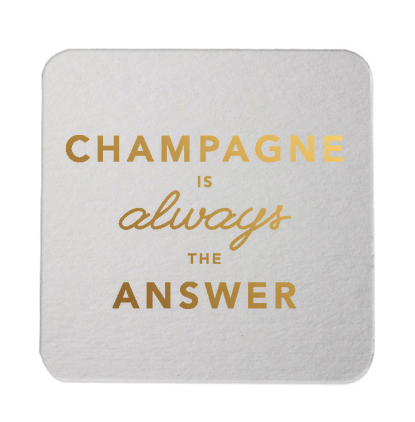 Champagne is always the answer -- I couldn't agree more! These would be a perfect treat in my stocking to get me ready for New Years Eve. 5) Pencil Set. 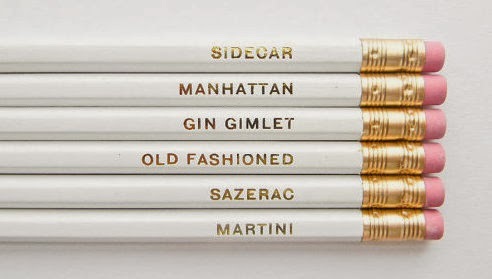 Perhaps you're sensing a pattern here, I love cocktails and I love stationery -- so these sassy little cocktail-name pencils are right up my alley! 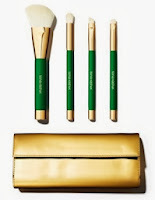 6) Make-up Brush Set. 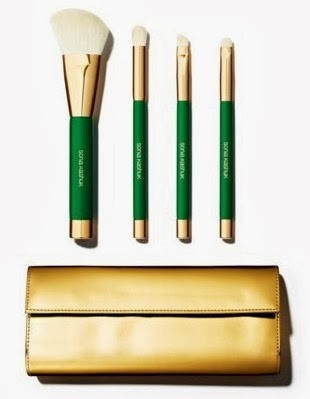 This set is a lovely little luxury, I'm obsessed with the bright kelly green color and metallic carrying-case. I bought that note pad for Alexa last year and have wanted it for myself ever since! What a cute series!